After months of speculation, Google may be inching closer to rolling out the Penguin 4.0 update, and it’s expected to arrive before the year’s end. The chatter is being driven by Gary Illyes, a Google Webmaster Trends Analyst, via Twitter. In response to user @Andrew_Isidoro’s question, “Hey Gary, think we’ll see a Penguin roll-out in 2015?” Illyses (@methode) responded with a terse-yet-confident “yes.” As a result, a naturally unconfirmed-by-Google rollout date of either November or December 2015 is being expected. The update is bound to cause a bit of a shakeup during a time that’s already quite busy for many e-commerce stores. 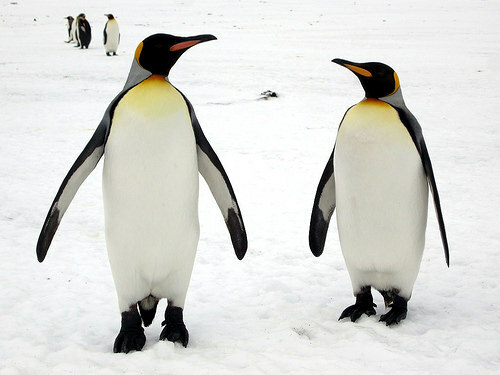 The latest version of Penguin will have one major change: it’s expected to analyze factors in real time. Once the update goes into effect, link-impacting changes (like pruning) will be reflected continuously. In addition, there won’t be specific release dates for Penguin updates after this release since the newest version will continue to impact sites as it comes across red flags (or green ones). So what does this mean for your rankings? The switch to a real-time algorithm allows webmasters to recover from penalties quicker with fast fixes. This also means that waiting for a major refresh to see progress is a thing of the past. However, it also means that any infractions may be caught sooner. Stay tuned for more info on this major Penguin release.